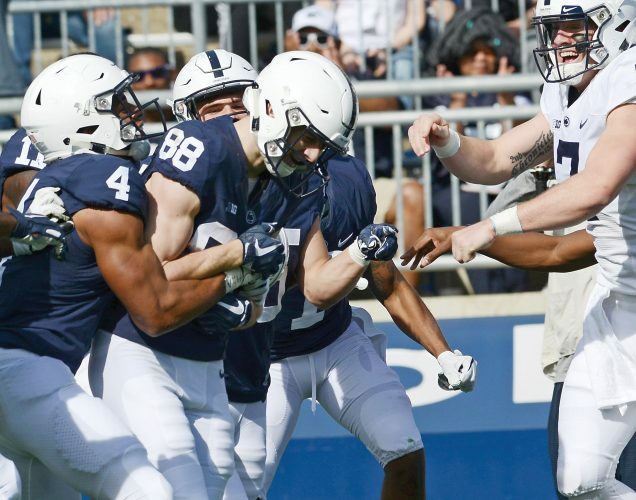 UNIVERSITY PARK — Penn State made a push, convincing and encouraging, for its first conference win of the season against No. 17 Purdue in the Bryce Jordan Center on Thursday night. After a wild regulation, the Boilermakers outmatched the Lions, 99-90, in overtime. This loss was very different than the previous nine conference losses for the Lions. They were great on offense and made big shots when it mattered. But Purdue’s star player played like an NBA veteran and set a pace that few teams could keep up with. Carsen Edwards recorded a jaw-dropping 38 points. The Boilermakers came into the contest red hot, holding a five-game winning streak. The Lions, in very opposite fashion, came in with no reason for optimism. Five Lions scored in the double digits, and Stevens led the Lions with 24 points. Seven of the first 12 conversions of the game were from beyond the arc. The Boilermakers were more successful from the 3-point line and looked like they had no need to go near the paint. But when the Lions spread out to defend those shots, the offense worked it to the interior. With 10 minutes left in the first half, Edwards had scored just as many points as Penn State had as the Boilermakers held a 33-17 lead. “When he’s really feeling it, he’s got such range,” Painter said. The Lions looked dead in the water, but showed signs of life toward the end of the first half. The underdogs crawled out of a 17-point deficit to cut the lead to three with five seconds left. “We battled back,” Chambers said of the Lions’ 19-8 run. Of course, the Boilermakers nailed a buzzer-beating bank shot from just past half court to take a 50-44 lead into the halftime break. The halftime stats were rare for the Bryce Jordan Center. 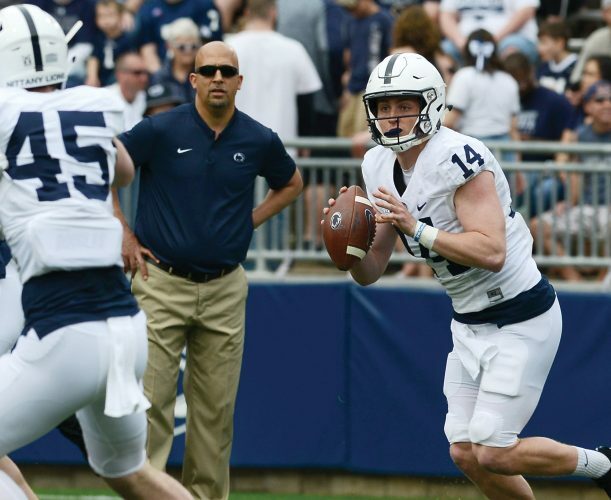 Purdue made 63 percent of their attempts from the field while Penn State made 45 percent. Both teams shot 15 3-pointers with the Boilermakers converting on 10 to the Lions’ 8. The Lions were constantly threatening to take the lead throughout the second half. But every time they were a shot away, the Boilermakers would have a big response. The start of the second half featured much more fouling, making free throw shots an important theme to follow as the game progressed. The Lions finished with 30 points from the free throw line to the Boilermakers’ 19. The teams traded a highlight reel caliber exchange of 3-pointers. Eventually, Myles Dread tied the game on an improbable and ill-informed 3-pointer that knotted it up, 81-81, with over 2 minutes left. Rasir Bolton took the last shot in regulation, but was blocked by a Boilermaker to send it overtime with the score 85-85. The Lions had little left in the tank when the buzzer sounded and overtime began. The Boilermakers got up quick and shut down the Lions offense. The Lions’ next matchup is on Monday at Northwestern.